Geelong's AFLW team run through the banner for the first time. The mixture of youth and experience worked. The friendships between older senior players with our draftees shone. Denby and Hickey are best buddies, Erin and Rene are like sisters and Soph and myself love a joke in the forward line. The Cats inaugural season in the AFLW was definitely a good thing. We were faced with our challenges along the way, but to make finals in our team’s first year in the competition is an achievement we should all be proud of. Nigel Lappin told me the other week that at the end of each AFL season, the coaches look back and conduct a review. He told me that the first thing they do is look at what worked - an optimistic way to reflect. When I look back at our teams first AFLW season, I see a lot of things that worked. Whilst I write about youth I’m reminded of how talented our kids are. Drafting these girls worked. We had two NAB Rising Stars this season. Nina who showed just what an exciting player she is in the season opener. Liv fought hard with aggression and purpose in the midfield. Denby, Soph, GC, Becky Webster and Rene all played well this season and will be better for the experience. The team’s popularity worked. An amazing crowd of 18,000 came out to watch our first game! Our fans’ passion and excitement was captured in the photo by Michael Wilson of Georgie Rankin and the young girls in the stands. 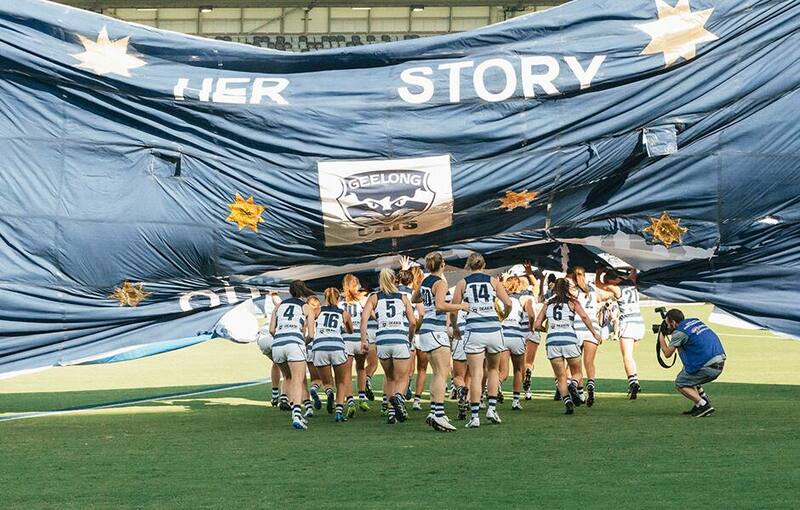 Girls growing up in the Geelong community now have players and faces they can aspire to be. Giving players a second chance worked. Meg Mac is the most obvious example. After being overlooked by clubs in 2018 she has now announced herself as one of the best defenders in the competition. Her All Australian nomination a credit to how far she’s come. Finally, when I look back at what worked I think of the Brisbane game when the team came out and played our style of footy. This is what we are capable of. I would like to thank Geelong fans and supporters for embracing our team. Having moved from Melbourne I have loved being a part of the Geelong community and getting to know you all. The last six months have been a wonderful ride. The next six months we will use to improve ourselves and prepare for next season where we will return hungry to experience finals again. And also have a well-earned break! See you in AFLW 4.0.